Overdue with Princess Charlotte at the Buckingham Palace pool, drinking champagne with friends in an English country pub, recovering from jet-lag, and even apart — there is no one set way that the duke and duchess have spent their wedding anniversary over the past six years. Ever since their big day back in 2011, April 29 has thrown up all sorts of unavoidable facts of life that give a perfect insight into the lives of this modern royal couple . William and Kate's first wedding anniversary could not have been more different from their big day, which was watched by an estimated 2 billion people around the world. They woke up on April 29, 2012 in a pub. After the wedding of Kate's school friend Hannah Gillingham on the 28th, the bride booked local pub The Crown in Westleton, Suffolk for all her friends, and William and Kate turned up at 1 a.m. on the 29th with the other guests. 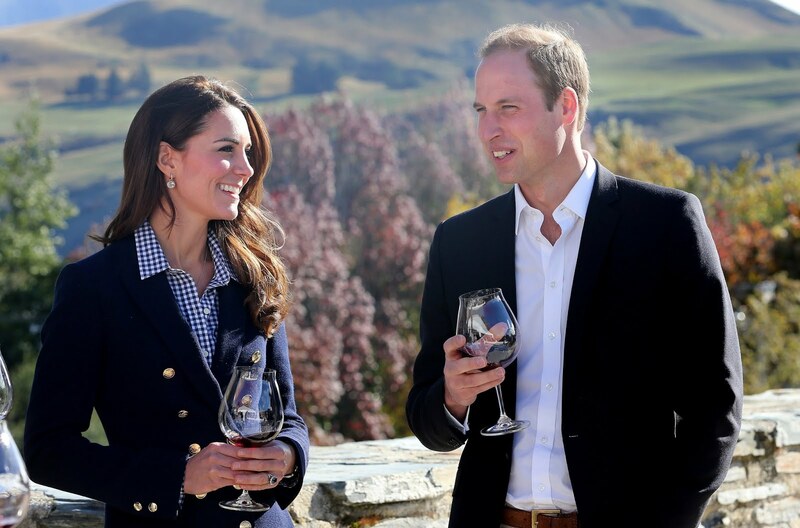 They all drank champagne together before the royal couple headed to the Swan Room, which has a four-poster bed and roll-top bath. In the morning they joined the others for bacon and eggs before heading back to Anglesey. It was reported Kate was going to cook fish en papillote — in parchment — to mark the first anniversary being paper. Kate was six-months pregnant with Prince George, and she and William actually spent the day apart because of William's flying duties. On the day, Kate visited the children's hospice Naomi House in Hampshire, where she met with bereaved families and had tea with the siblings of children who were being cared for at the facility. She and William did celebrate their anniversary a few days beforehand however, with dinner in London. Their press officer confirmed at the time that they were spending the day privately, but it's likely they — and their 9-month-old son — were suffering from jet-lag as they had only flown back from their tour of Australia and New Zealand three days previously. While they were in Australia, Kate revealed that it took Prince George three days to get over his jet-lag on their way out. Kate was around a week overdue with Princess Charlotte — she gave birth just three days later — so she and William spent most of the day quietly at home in Kensington Palace. However, it was reported at the time that the couple went for a swim together at the Buckingham Palace pool — one of Kate's favorite activities during her second pregnancy. William and Kate spent the day privately with Prince George and — for the first time — Princess Charlotte, as they had not long returned from their tour of India and Bhutan and had been apart from their children for a week. The couple also released a new previously unseen picture of them smiling in a garden together which was sent to those who wrote to wish them a happy anniversary.